Choosing a new mattress can seem like a daunting task, so Chloe from the Bed Factory shares her advice to help you along your way to a better night’s sleep! 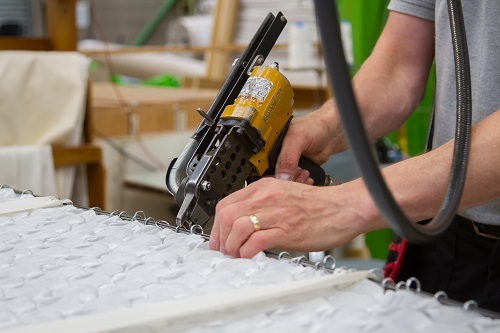 On average, mattresses tend to have a life of anything between 5-14 years depending on the quality of the materials used in the manufacturing process and how often it’s used. 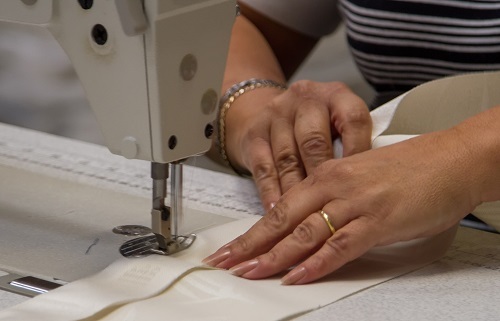 Hand side stitched mattresses tend to have a longer life expectancy due to all of the fillings being pulled in around the edges. Always shop for the best value not the lowest price. Of course, there are some perfectly acceptable lower priced beds available, but the better the construction, the better the support and comfort: and the longer the bed will last. Don’t be afraid to ask the sales adviser how the bed is made, what type and what quality of materials are used. If the sales adviser can’t answer all your questions how will you really know what you are buying? The more informed you are, the better choice you will make. WHAT TYPE OF MATTRESS SHOULD YOU GET? There is no hard and fast rule to which mattress type you should buy, you just need to find the one that suits you. We always recommend visiting a bed showroom and having a lay-down as one person’s definition of firm or soft is different to the next person’s. You will typically have a choice between memory, open coil and sprung mattresses: each have their own characteristics so the best way to find what you like is to have a lay-down and test it out! BUY BASE AND MATTRESS TOGETHER? Divan bases last on average the life of two mattresses, however when it comes to frames we would recommend a new frame to be purchased with a new mattress in case the frame has deteriorated over time. We always recommend that when buying a mattress it is tried on the same type of base or frame that it will be going on to. Children’s mattresses can be purchased for under £100, however for two adults on a bed used every night you really need to start looking at spending from £200. Although you do get what you pay for, the most expensive is not always best and when finding the perfect mattress: it really is down to the needs of the individual, some people may find their perfect mattress at say £550 and do not like the support/feel of the dearer mattresses. Remember that for every £100 you spend on a new bed, it equals an investment of just 2.7p a night (assuming a lifespan of seven years). Need to know more about which mattress is right for you? Just give us a call or pop to our showroom on Ransomes Euro Park (not the retail park).